Scotland International Stuart Whittingham has signed for Gloucestershire on a three-year deal from Sussex. The 24-year-old right arm fast bowler has signed a three-year deal after opting to leave Sussex where his future looked uncertain given the bowling options there. Whittingham made his first-class debut against Derbyshire in 2016, taking a wicket with his first ball. He qualified to play for Scotland and has played in four ODI's and three T20 internationals, but didn't play in the ODI win over England. In 15 first-class appearances, Stuart has taken 46 wickets, with his best figures of 5 for 80 coming against Derbyshire at Hove in 2017. He also took impressive match figures of 8 for 93 against Ireland in an Intercontinental Cup match in Dubai in 2017. 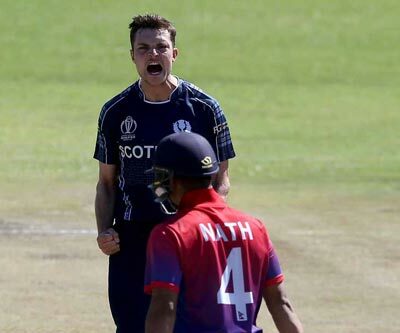 On signing for the Club, he told the Gloucestershire website : “I am really excited to have signed for Gloucestershire, I am keen to continue with the development of my game and to play here is a fantastic opportunity. Gloucestershire Head Coach Richard Dawson added: “I am delighted that Stuart has joined us at Gloucestershire. "He will add to our bowling group and boost competition for places. "His ability to bowl fast spells, along with having an impressive strike rate of 43 balls per wicket, gives us variety in our bowling unit.